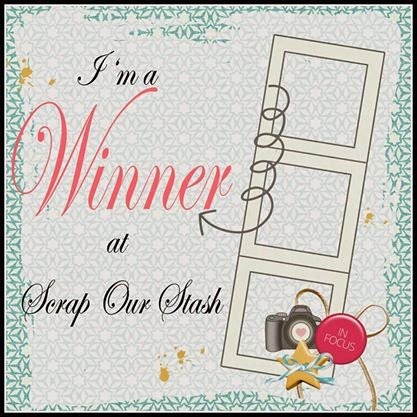 "Hi everyone and welcome to SCRAP OUR STASH September challenge. Its Caroleanne here with you today to share my latest layout using our fab sketch for September. This is great for those of you who like to use more than one photo. The challenge to go with this sketch is to use at least three different school supplies. Mine are, Paper clips, Rulers, Lined Paper, Pencils and Books. These are two pictures of my daughter Jess, one year apart. She started Uni this week so look out for another layout soon!! 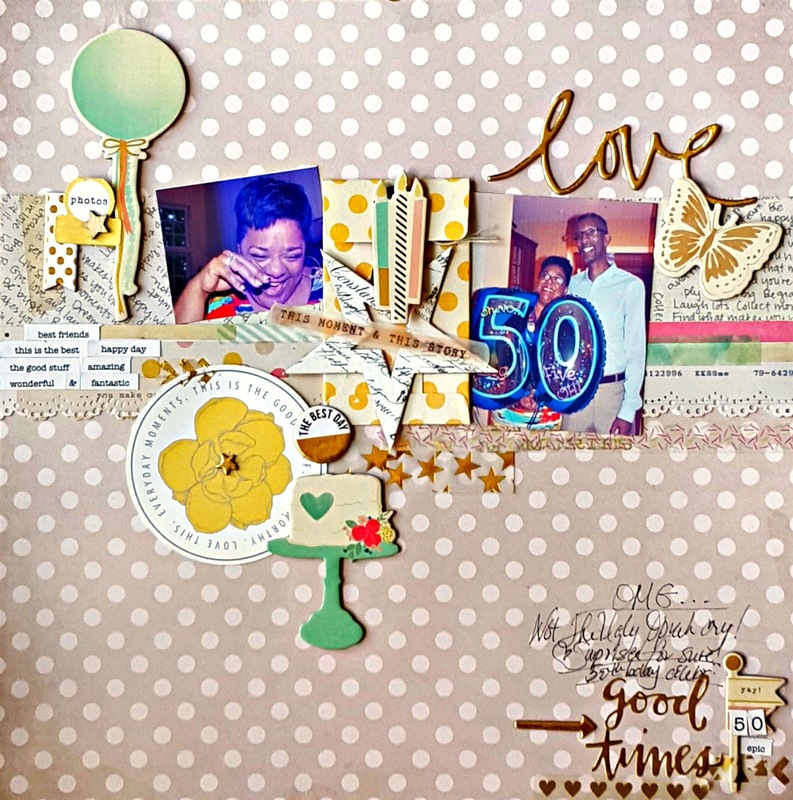 I hope you have fun with this challenge and visit all the other designers for more inspiration. 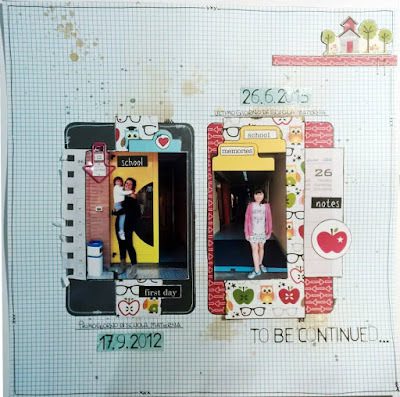 For details on how I put this page together and stash used please visit my blog here http://theprettypaperpatisserie.blogspot.co.uk/ Bye for now"
Layouts for both challenges are due TOMORROW!!! "Hi everyone! Welcome to SOS Sketch Challenge #30! 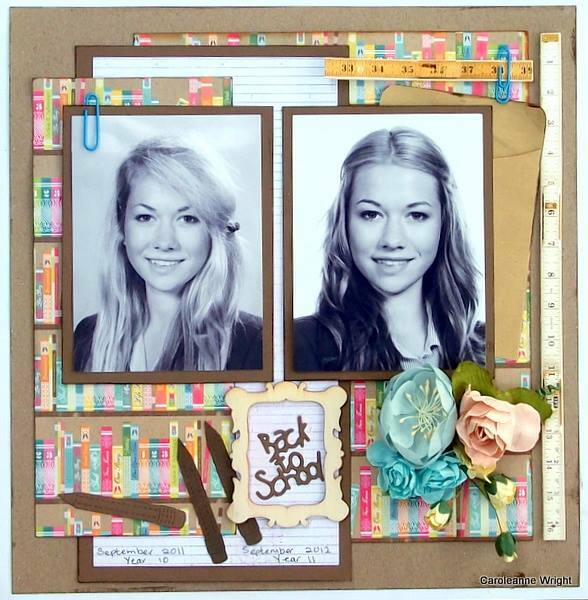 This sketch was amazing to work with and I loved using school supplies on my layout! 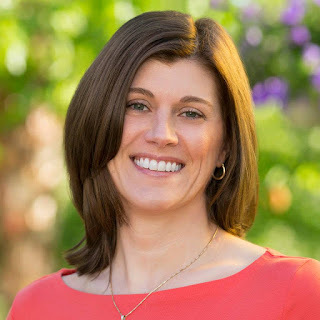 I decided to use photos of my daughter, Anne, taken on her first day of school last fall. 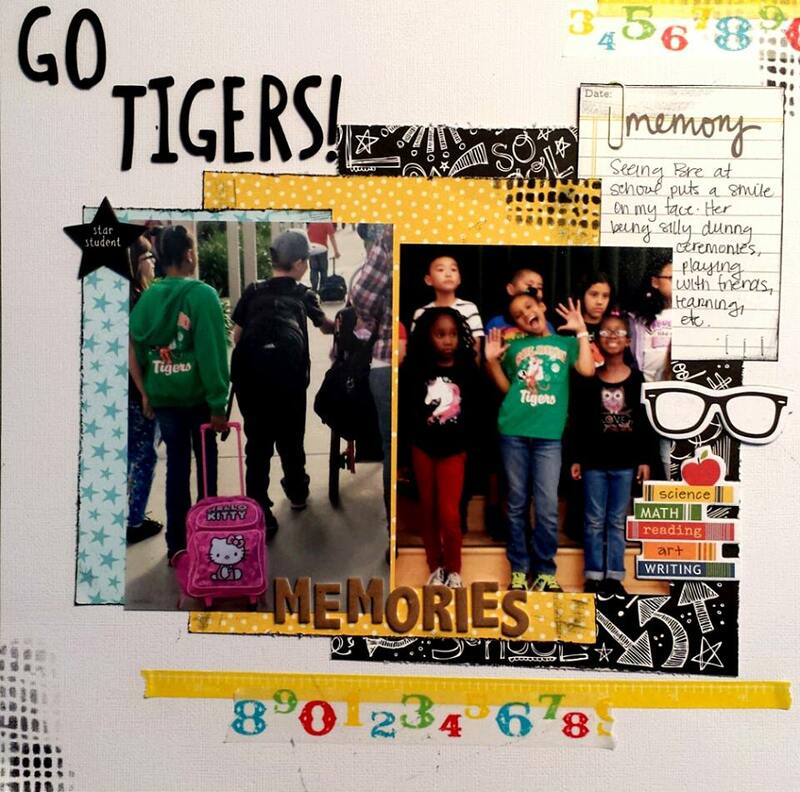 I thought these photos would be perfect for the school theme. I love the photo of Anne waiting for the school bus!! 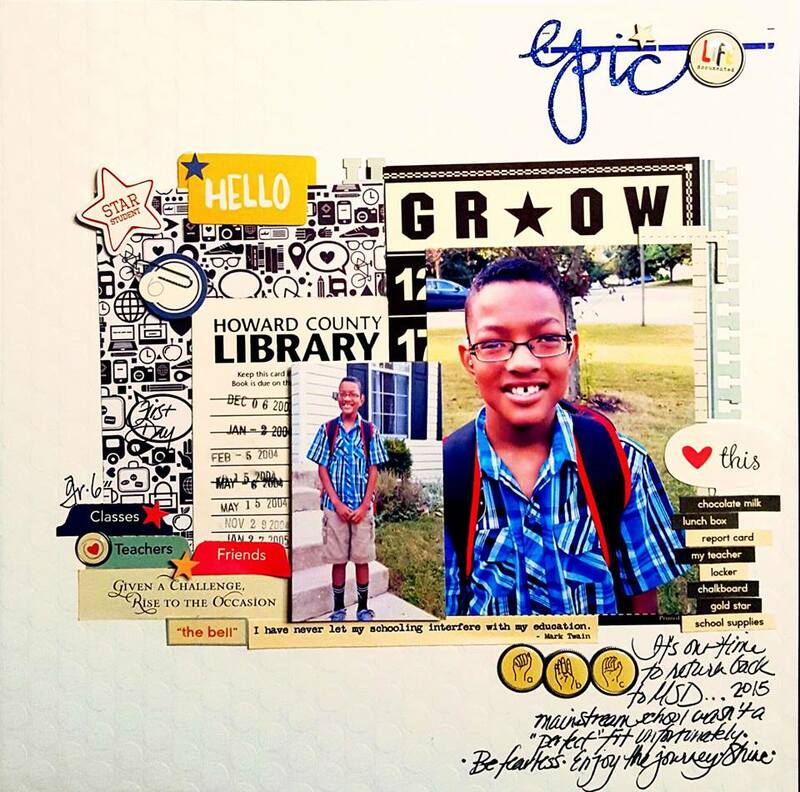 I used 4 different school supplies on my page as follows: a paper clip, staples, pencils, and notebook paper." 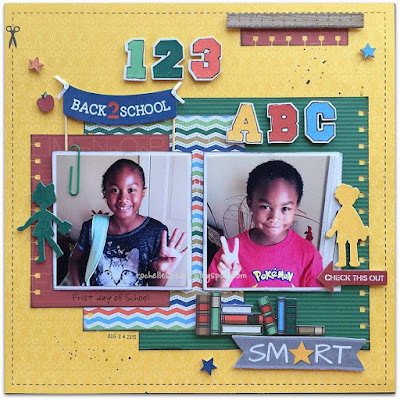 (3) different type of school supplies on your layout. 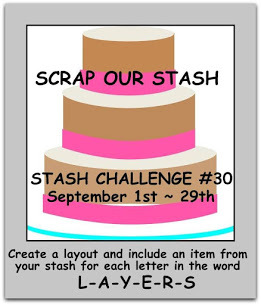 and the September stash challenge!! "This is my best friend's daughter, Emilia, in 2011 and 2013. Given that I only get to see her once or twice a year, every visit I'm amazed at how much she's grown. 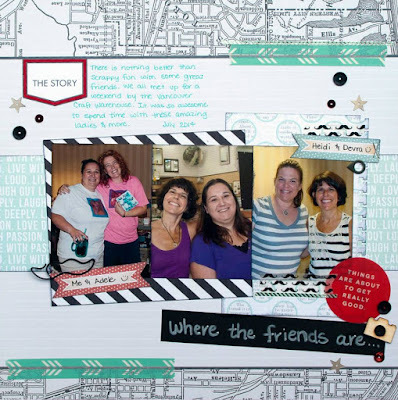 For my school supplies, I used stars, staples, lined paper, tape, and a paper clip." Today, designer Crystal is inspiring us with her super fun layout!! "Just some fun pictures of my younger daughter taken one beautiful fall day. She is a ham for the camara and loves making crazy faces. I used staples, a ruler, note book paper and paper clips." 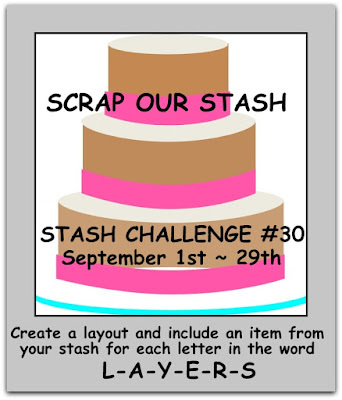 You still have time to upload your layout to this challenge and for the Sept. Stash challenge! "I'm scrapping my sweet boy, Harley, again today. I got these papers while I was in Iowa last month. I soon realized that buying paper that I'm going to have to pack wasn't the best idea. lol It all worked out, in the end, though." 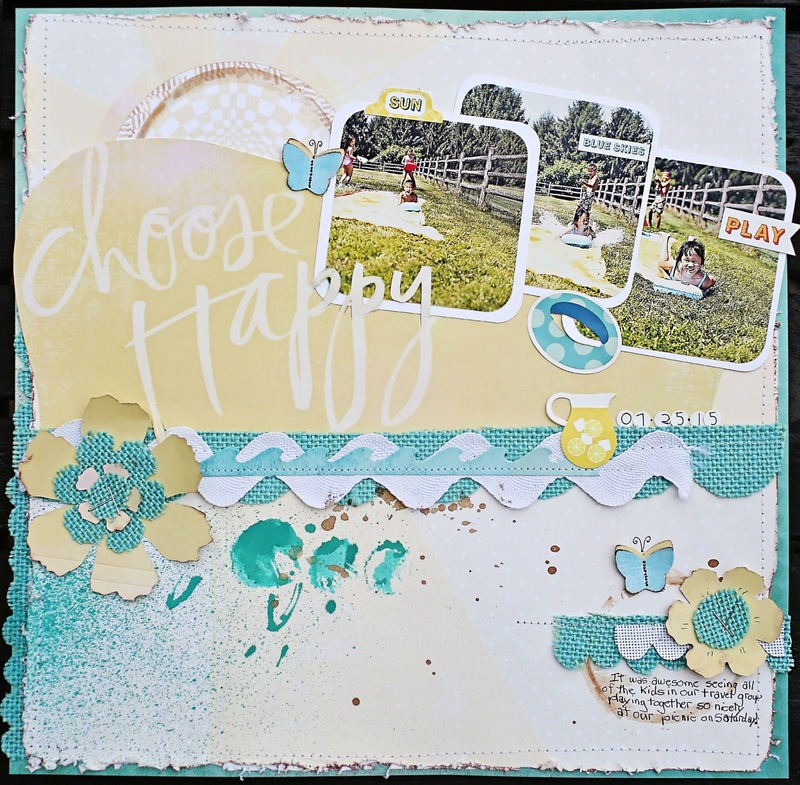 Today, Designer Cassie is sharing her beautiful layout to inspire us. 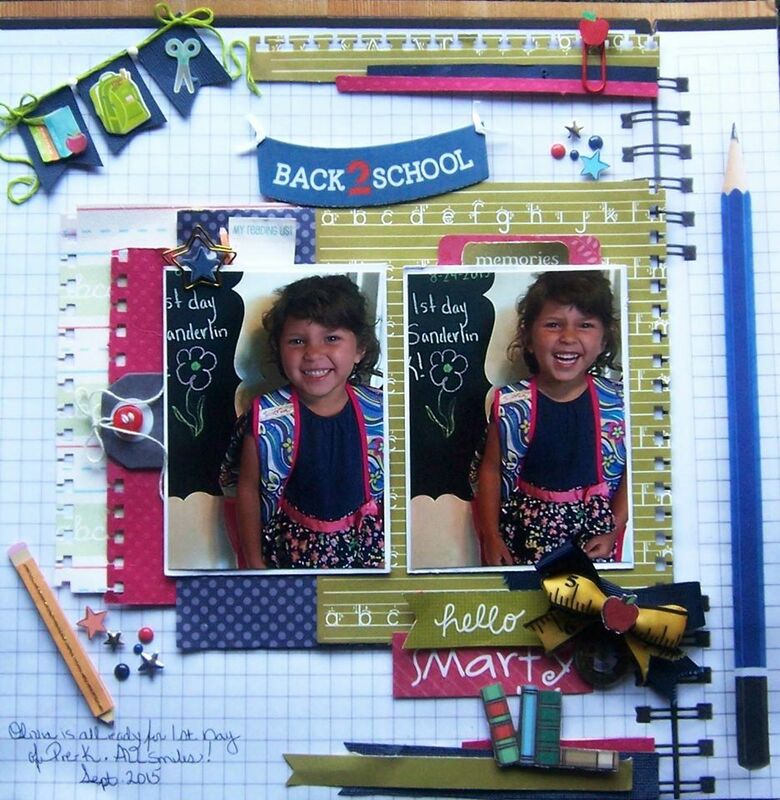 "I love back to school time! 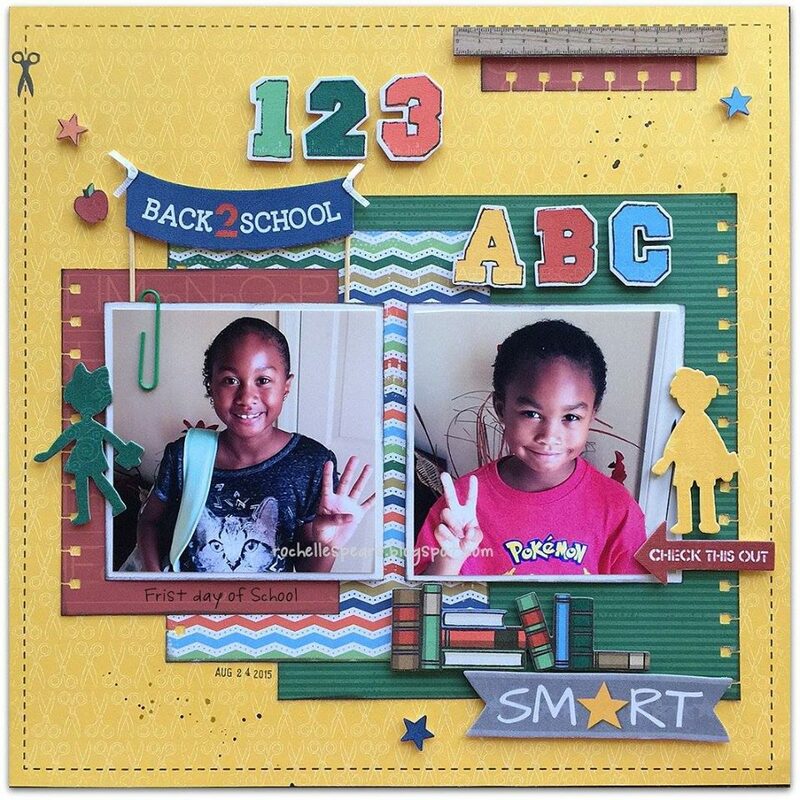 Not just because my daughter will be back in school, but because I love school supplies. I love lined paper fresh from the package and I swoon over new pens. So imagine my surprise when I had to think of three school supplies to add into my layout. This actually proved a little harder than I was expecting. So I looked through my stash and found this adorable mustache paper clip and I knew exactly what I was going to create. I only changed up the sketch to fit my three smaller photos instead of the two square photos. School Supplies: Staples, Paper Clip, Blackboard, Maps, Tap"
"This layout was inspired by the back to school hustle and bustle. I can't believe how fast my daughter is growing! "Rachelle here with today's school layout. I went with a clean and simple style. Here is Olivia all set for first day in Pre-K. I used a paper punch and layers along with school paper. *Pencil, lined paper, books, and back pack. I love Back To School time! 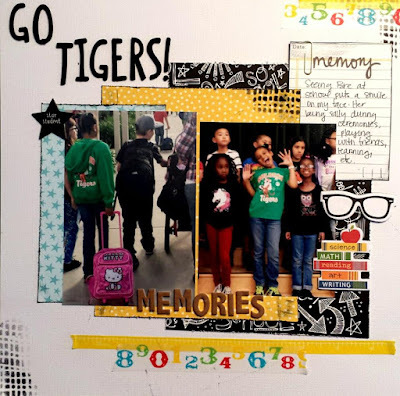 Now it's your turn to show us your school days layout. Can't wait to see them all." 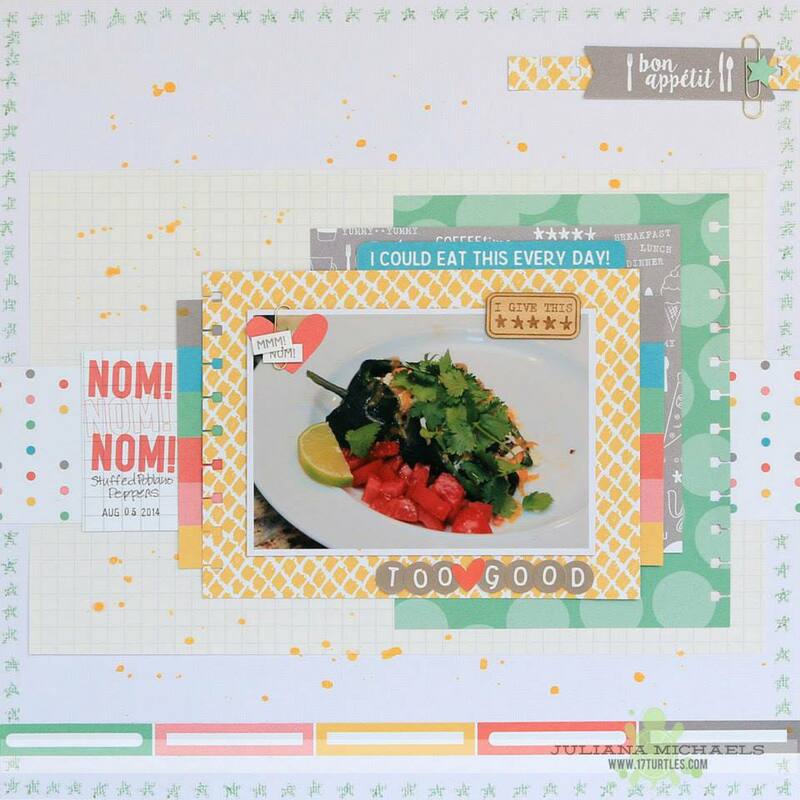 "In the spirit of "September" being a "Back to School" month - This month's Sketch Challenge at Scrap Our Stash has a little "extra assignment" for you. 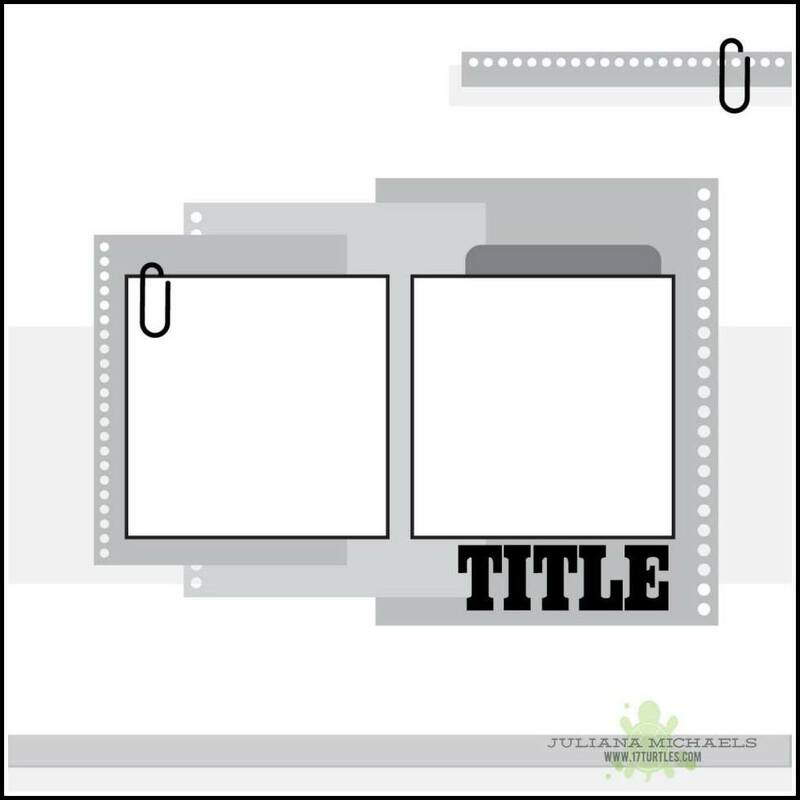 Not only do you have a GREAT Sketch to work with - we've added the requirement that you have to "ADD 3 School Items" to your layout too! FUN! We really had a great night! Lots of laughs, good food, a train ride with more laughs on the way home - and even if we were the oldest ones in the group - I don't think we look that bad for a couple married 31 years! 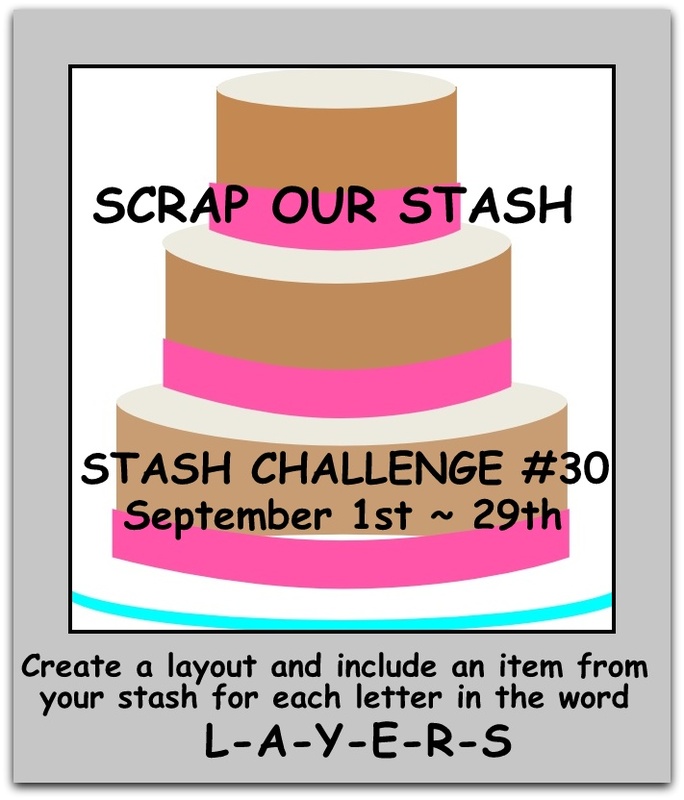 I hope you play along with us and can't wait to see what you will create with this Sketch and added challenge too! These photos were taken on Emma's first and last day at kindergarten; this photos side by side shows as my daughter is grown in this 2 years. She is ready for elementary. I used school elements as a clip, staples, scotch and a diary page. "This sketch was very inspiring for me. 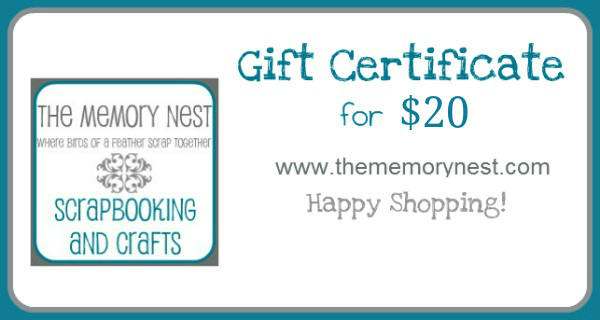 I can sometimes be a very literal scrapper, particularly when it comes to themes. The fact that this sketch looks school-ish really guided me in my thought process. There isn't much change from sketch to page, in my opinion. The photo sizes are different. This seems to be one of the first things I change, either the size or the orientation or the quantity. Otherwise, the sketch stayed pretty true. In case you missed my school items, I used staples, a paperclip, graph paper to make my tag and a notebook border punch. Four items in all! I hope you have as much fun with this one as I did. Thank you, Juliana, for a great sketch!" Use at least (3) different type of school supplies on your layout. Don't forget to check out the challenge details HERE! "Hi, I'm Juliana Michaels and I grew up in a creative household loving art, design, and making things with my hands. I give all the credit to my creative mother who loved to paint, sew and draw. My mother also photographed my daily life and kept all of these photos stored and displayed in photo albums. 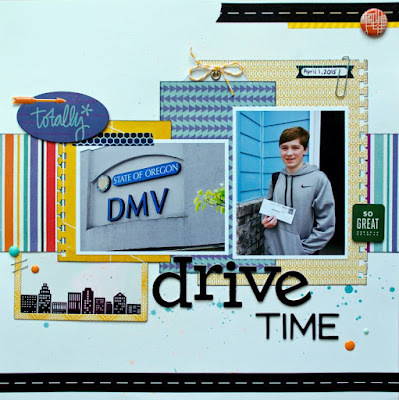 Nearly 15 years ago I found my true passion in paper crafting and scrapbooking thanks to the combination of being exposed to these creative activities and photographic documentation of my daily life. Since 2008 I have been creating and sharing paper crafting projects on my blog - 17turtles(http://www.17turtles.com/). I've been a project designer in the paper craft/scrapbook industry since 2007. 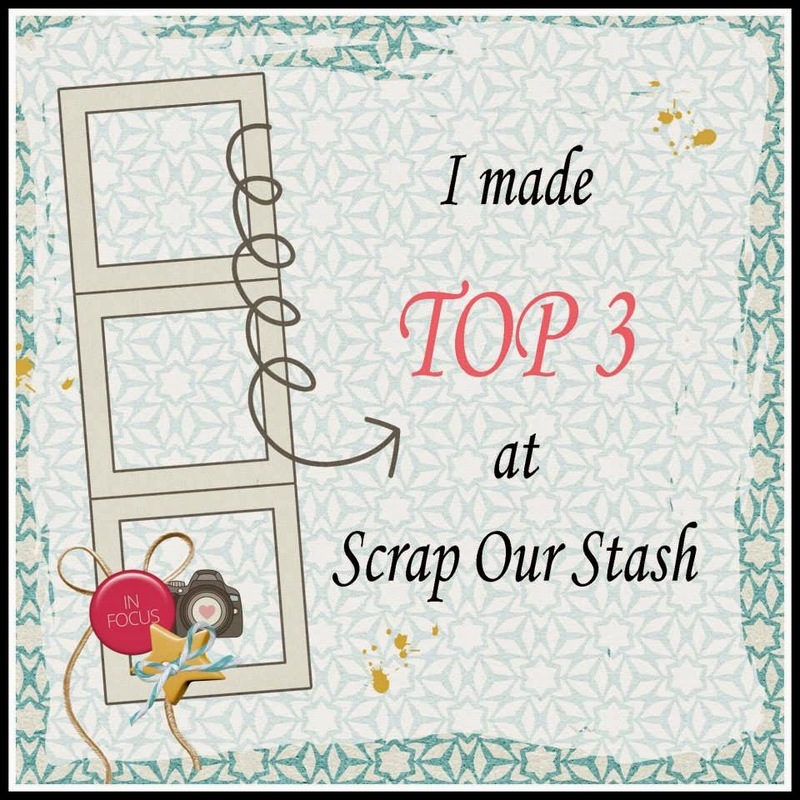 I have been fortunate to work for many top manufacturers including: BoBunny, Bella Blvd, Elle's Studio, SRM Stickers, Provocraft, Pebbles, Therm O Web and Jillibean Soup. 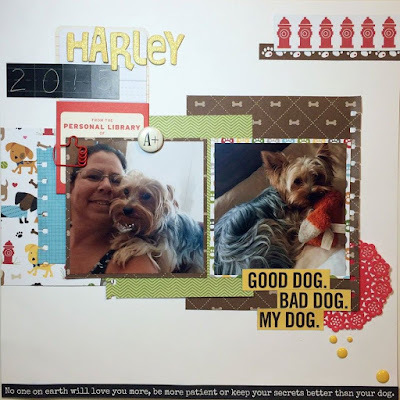 My projects have been published in a variety of magazines and idea books and I have had projects displayed at the Craft and Hobby Association Trade Show." 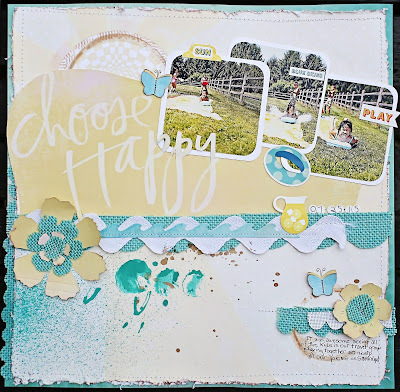 AND...you must use at least (3) different type of school supplies on your layout. 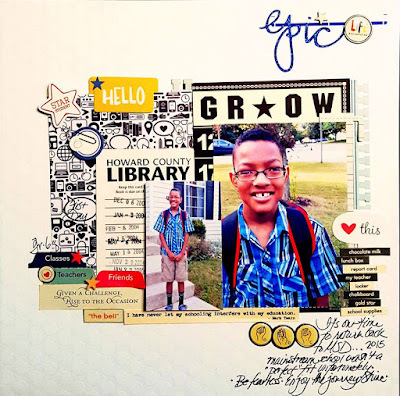 "For my take on the challenge of using at least 3 school supplies, I used paper clips, graph paper and crayons. 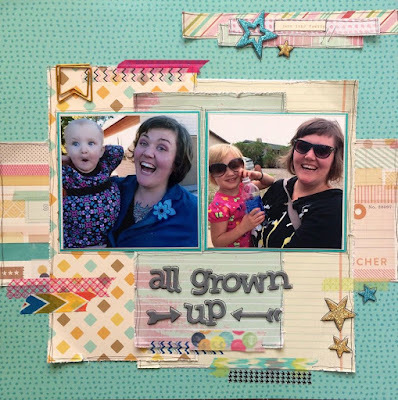 I used a crayon to draw little stars and create a border around the outside edge of my layout." September Prize Drawing and/or to be considered for out Design Team's Top 3 Picks. 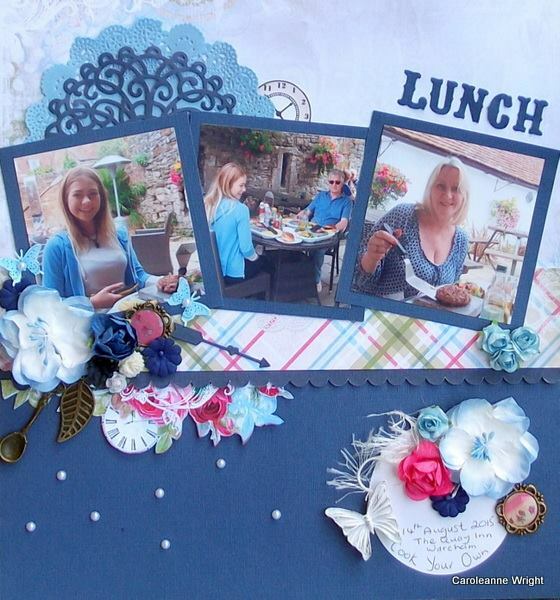 "Hi everyone, Carole here with you today with our first September challenge. I chose to do the STUCK sketch along with the word LAYERS. These photos were taken recently where we had to cook our own burgers which we though would be quite fun. So for my word, the stash I used is as follows. R for roses, S for spoon. 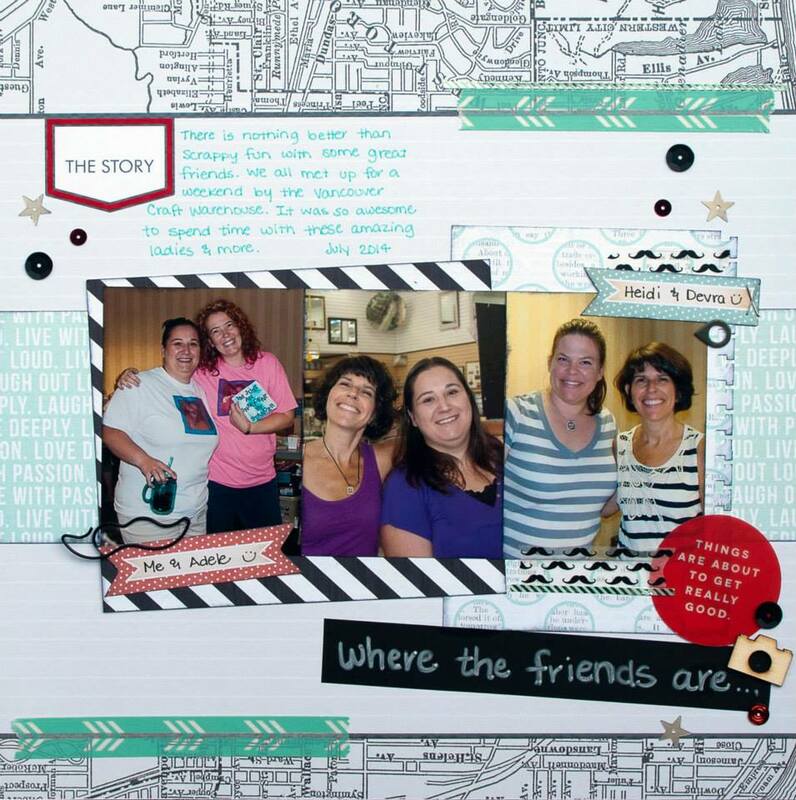 September Guest Sketch Artist and the awesome sketch she created for our challenge!!! Are you ready for your daily dose of inspiration? 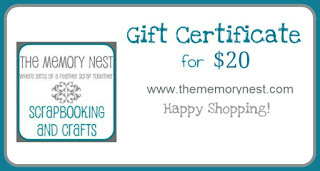 a chance to win the prize they are offering on their site. 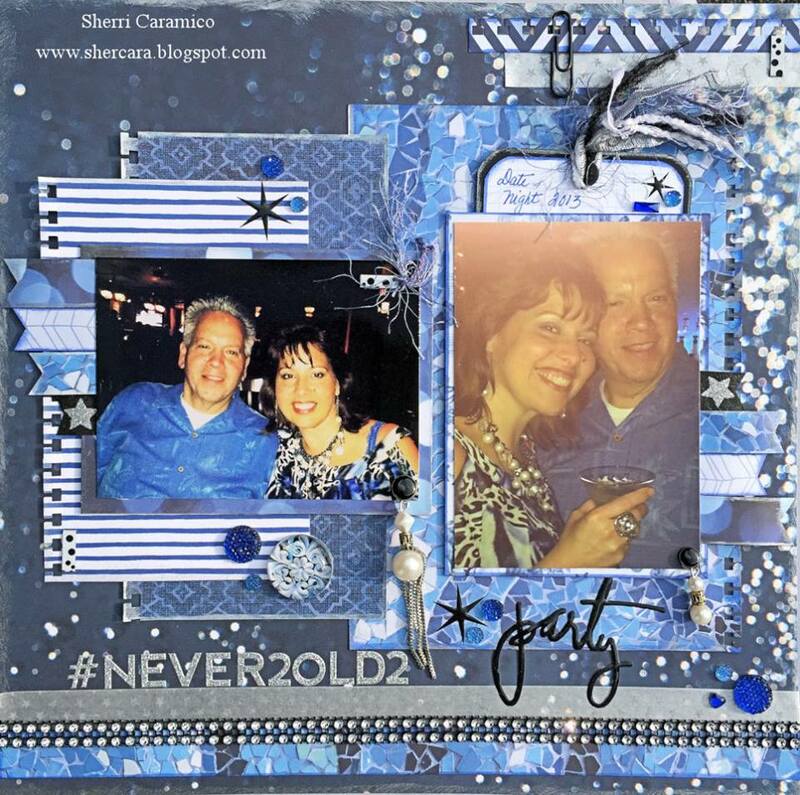 Thanks for stopping by and we hope you join in the fun!!! ( Y ) Yellow and lots of it! starting with each letter in the word...LAYERS! We encourage you to use the sketch from Stuck? !, but it is not required.